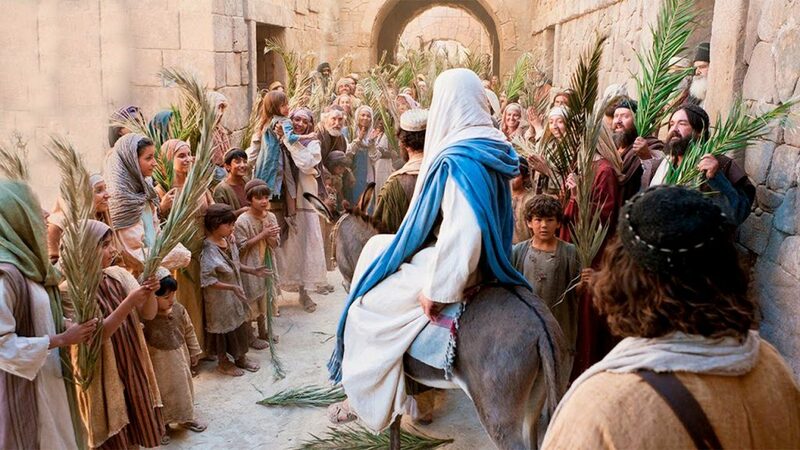 Each year on Palm Sunday, the start of Holy Week, we begin the liturgy with a gospel reading, blessing of Palms, and a procession. This is the only day in the year when we read two Gospel passages. This Year, the gospels are taken from Luke, and there are some interesting features. First, only in Luke’s accounts do some Pharisees advise Jesus to be careful the chanting and rejoicing of his followers doesn’t attract the hostile attention of the Romans. Jesus replies that even if he could silence his disciples and the crowd, the very stones would proclaim his mission. The descendant of King David comes to his own city, but to die and rise again. This is where and when God’s plan for humanity reaches its climax. Neither the Pharisees nor the Romans can silence the message. In the second Gospel, the long account of the Passion (although Luke’s version is the 2nd shortest! ), the familiar story of Jesus’ final hours is told. Remarkably, in Luke’s version of the Passion, Jesus still has time to think of others. When he is arrested in the garden, and Peter, impetuous as always, cuts of the ear of the High Priest’s servant. Only Luke tells us that Jesus healed him. When Jesus is carrying the cross to Calvary, he sees the women of Jerusalem who are grief stricken at what is being done to him. He tells them not to think of him, but to take care of themselves becasue heard days lie ahead. When he is being fixed to the cross, Jesus prays for his executioners: “Father , forgive them; they don’t know what they are doing”. Finally, he has time, when breathing his almost final breath, one of the men being crucified beside him says ‘Jesus, remember me when you come into your kingdom’. Jesus’ final words to another human being before his death are: “Today you will be with me in paradise”.